If you like this template please don’t forget to spread the word, like it, share it so other people can try it too. Thanks in advance! This template is based on a very powerful and still very flexible grid system. The grid is built around two key elements: rows and columns. Rows create a max-width and contain the columns; columns create the actual structure. For layouts to work properly, always put your page content inside a row and a column. Two grid systems are available – one for large screens, one for mobile devices. The desktop grid is 24 columns to give maximum flexibility – allows division by 2, 3, 4, 6, 8, etc. The mobile grid is based on 6 columns – allows division by 2, 3. 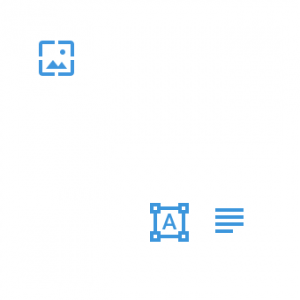 These are ideal for blocked-in content generated by an application, as they do not require rows or even numbers of elements to display correctly. Block grids are made from a ul.block-grid with #-up styles chained to it. By default, these blocks will stay in their N-up configuration on mobile devices, but you can add a class of “mobile” to have them reshuffle on smart phones into one element per line, just like the grid. If you want to use a different layout for mobile, say .five-up for large screens and .three-up for small devices, you can simply use classes like, .mobile-three-up. Medium – 768 – 960px – the site scales down. No content is rearranged. Mobile bellow 768 px – by default it all goes in one column. You can use the mobile grid if you’d like it different. The header is by default full width. It can be made fixed width (site width – 960px) by adding class fixed-width in the <header> tag. The page title will come by default with fixed width. 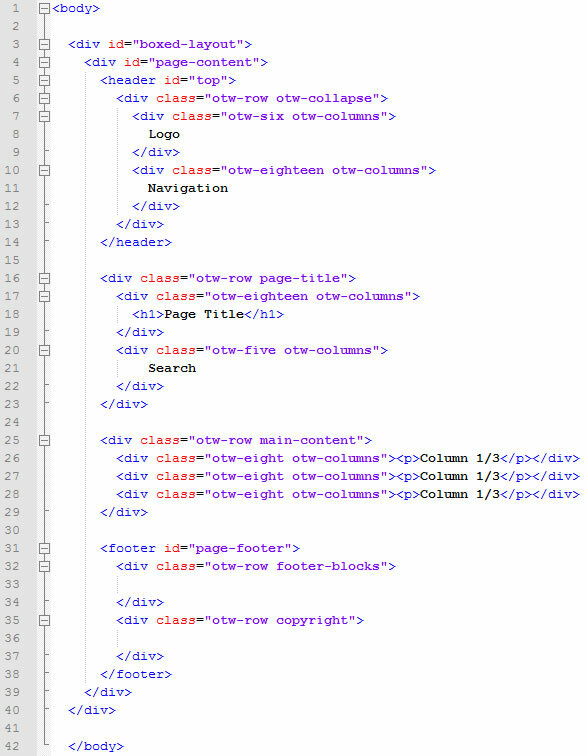 You can make it full width by removing the class fixed-width from the page title div wrapper. The footer by default comes full width. You can make it fixed width by adding a class fixed-width to the footer wrapper. All content is pretty flexible and should shrink or stretch normally. Just have in mind not to use too small or too big values. Put the whole content of the body tag in <div id="boxed-layout"> a wrapper to enable the boxed layout. Add some padding-top and padding-bottom in #boxed-layout if you want you site to have some space on top and bottom. Background color or image is also applied on this same #boxed-layout id. If you want to add some space on the left and the right of your content before the box, you need to change the value of max-width: on #boxed-layout #page-content. The width set here minus the width set for the site width will give some space (equally divided) on the left and the right between the box and the content. Lots of widgets and customization options. Check the Widgets page under Features on the demo site. The template comes with Flex Slider – light and fast, easy to set up. It can be fixed or full width. It is responsible. 6 sliders examples are included in the download package. Save time and start working on one of them. The files for the slider are located in folder named sliders. You will find there two folders for each slider. One with the original name containing the original code for the slider and another one custom which includes all custom styles. If you want to modify the styles for a slider we recommend you use this second folder so you can keep the original clean of custom code. Includes classes for both types and a big set of Font Icons. Font icons are located in a folder named Icons. In there you will find two sets of fonts icons – foundation social set and foundation general set. CSS files are located in a folder named stylesheets. All css files are documented. We craft awesome WordPress plugins and themes that superpower your website. Currently active on 60,000+ websites. © OTWthemes.com 2019. All Rights Reserved.